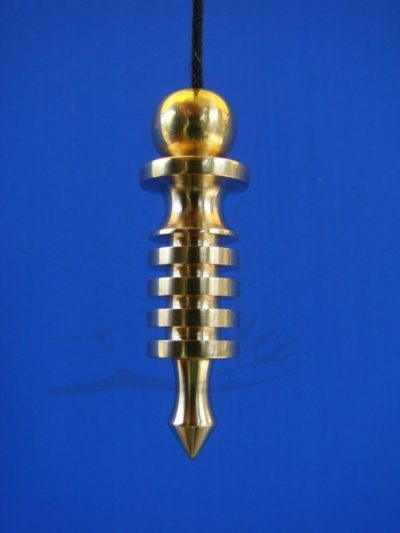 Alijca Center of Well Being Brass Medium: Pendulum, most known, appreciated and used of Egyptian group of pendulums, by shape symbolizes “The Cross of Life” and the elements of Djed (spine of Osiris). It took its name after the Greek’s Izyda, Goddess of Haven and Earth, wife of Osiris, Mather of Horus. 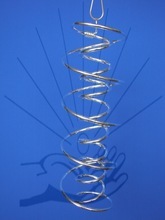 The pendulum has ‘4’ rings or amplifiers which act like batteries amplifying the energy along the shaft of the pendulum. 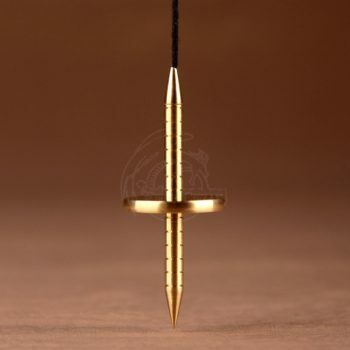 The shape of the pendulum (based on Sacred Geometry) gives it a high dowsing sensitivity and makes it a very gentle and safe pendulum to use for healing as it radiates the full spectrum of White Light. 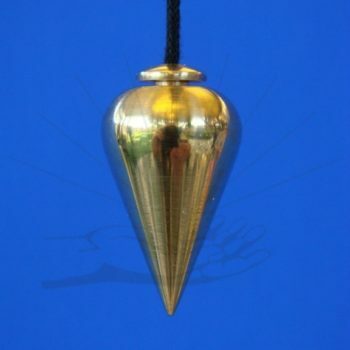 It is a very versatile Pendulum that can be used effectively by dowsers at any level of experience for many purposes: from answering basic questions to healing, balancing, clearing and therapeutic treatments. Iss belongs to the group of “mental” pendulums, which means it can be used as a receiver as well as sender/transmitter of different vibrations. Due to those qualities Iss can be successfully used for: checking compatibility with food, supplements, etc. ; allergy sensitivity tests; map dowsing; healing treatments; general dowsing (answering yes-no questions). 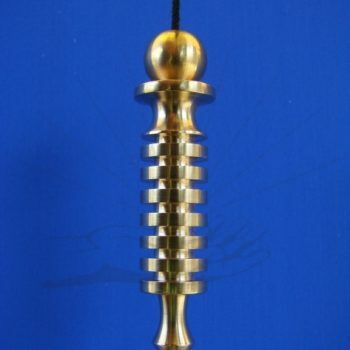 Due to advanced shape this pendulum is self-clearing. 2″ x .5″. 2 ounces.